Alcove bathtubs, also known as apron or skirt baths, are a type of bathtub design that slots into existing spaces surrounded by three walls. Because of its use in these three-walled conditions, only the front face (the apron) is finished vertically as a strategy to save on material and manufacturing costs. 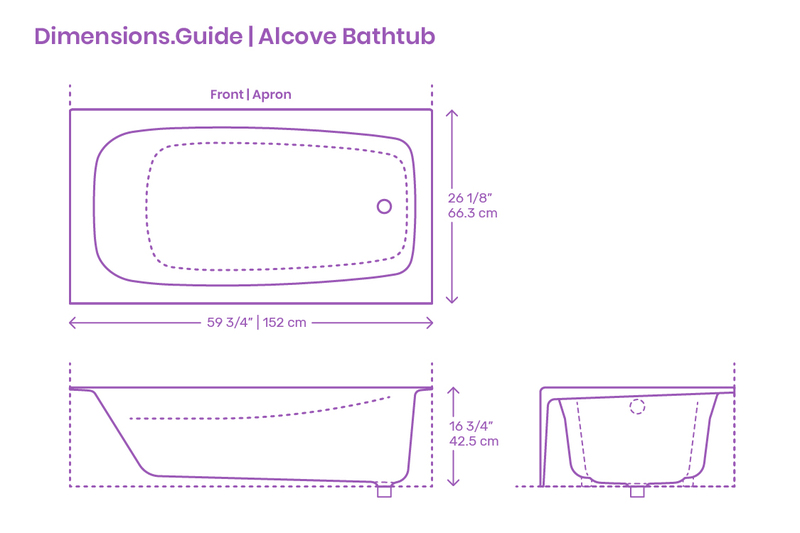 Unlike freestanding bathtubs, alcove baths can efficiently incorporate shower setups through the easy addition of shower plumbing into the adjacent walls. The walls of an alcove bathtub also allow for the fixture to be ADA compliant, providing a safer and more comfortable configuration for those users with disabilities or limited mobility. Alcove tubs come in a range of sizes, shapes, and configurations in order to adapt to various existing bathroom dimensions and layouts.